Pest problems in cultivating cannabis such as spider mites and powdery mildew are major concerns facing growers on a daily basis. Colorado’s ongoing recalls for cannabis products containing pesticides serve as a reminder that pest problems continue to plague growers. 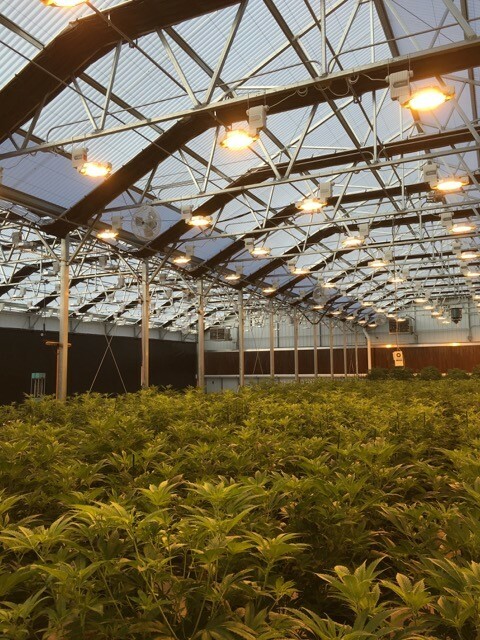 Utilizing integrated pest management (IPM) can help reduce the need to use any pesticides, as well as mitigate the risk of unwanted pests wreaking havoc on a cannabis harvest. 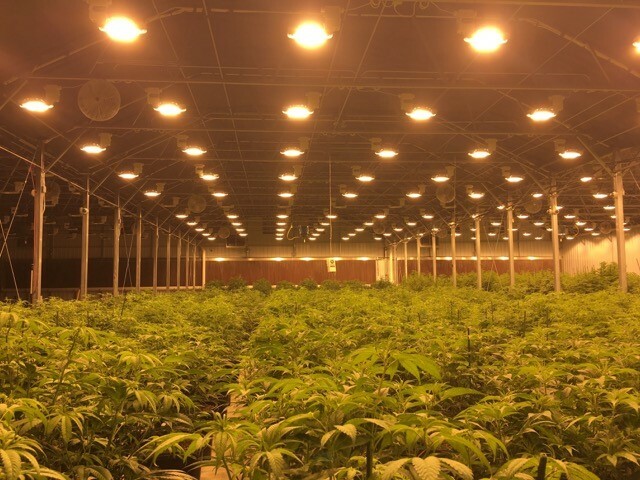 urban-gro, a solutions provider for commercial cannabis cultivation, builds IPM plans for large-scale cannabis growers tailored to meet specific needs in regulatory compliance for different states. 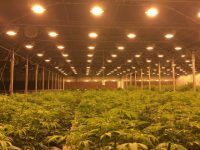 urban-gro helped design this facility in Durango, Colorado. Biological controls are essential to any proper IPM solution for growers. Beneficial living organisms such as insects, mites, nematodes or entomopathogenic fungi can all be applied as a method for controlling pests. Biological controls like those can reduce the need to use pesticides on cannabis. John Chandler, vice president of cultivation technologies at urban-gro, believes IPM requires a broad, systematic approach to eliminate the need for pesticides. “IPM is a combination of cultural, chemical and biological control,” says Chandler. “We start by evaluating the air flow of the facility, how plants are transported, any exclusion barriers and air filtration.” A robust IPM plan begins in the design phase of a new facility. “We can make key adjustments in floor plans, layouts and mechanical systems to optimize that first line of defense that is critical to mitigating the risk of pest issues.” Incorporating good agricultural practices can also help mitigate those risks. “We help develop standard operating procedures with good agricultural practices in mind, including preventing cross contamination, which is the biggest pest issue facing cannabis growers,” says Chandler. “I encourage clients to set up harvest and vegetative rooms so that the plants are moving in one specific direction between rooms rather than back and forth.” Using positive air pressure with proper ventilation can further prevent cross contamination. Chandler also recommends scrubbing air coming into the building with gaseous hydrogen peroxide to keep filtering air in ventilation. IPM plans require thinking in terms of systems to find the right balance of biological controls. According to Mark Doherty, director of sales at urban-gro, their IPM plans are customized to meet different states’ rules and regulations, including each list of approved pesticides. 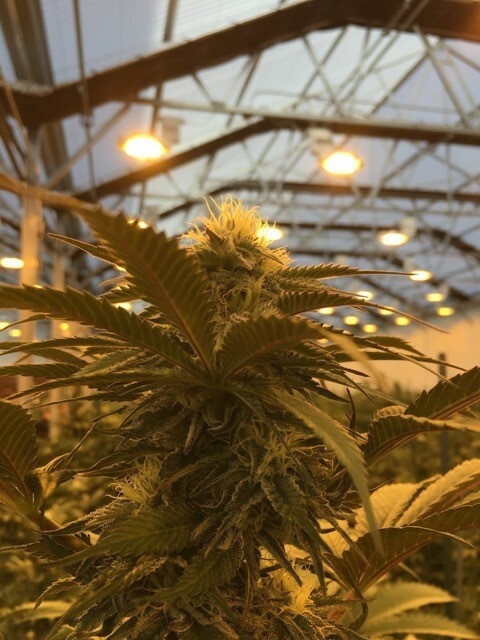 “We work to design a system that meets each individual grower’s needs, while helping them navigate regulations in any given state,” says Doherty. “It is important to make cannabis safe for patients and IPM is critical in building a healthy ecosystem for plants to be grown in a safe, yet cost-effective manner.” Proper use of IPM can reduce the need to use pesticides, which could impact a cultivator’s bottom line, but ultimately protect patients’ wellbeing by providing safe and pesticide-free cannabis. Procidic works on contact and with residual action. When all else fails and pests still find their way onto cannabis, there is a solution to address major losses. 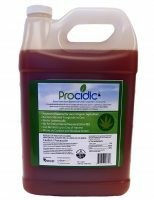 urban-gro distributes a product called Procidic2®, a broad-spectrum bactericide and fungicide compound, manufactured by Greenspire Global. The advanced commercial formula is designed to eliminate pathogenic bacteria and fungi. Procidic2® can be applied as a preventive and a curative. WSDA Organic Program has approved Procidic2® for use in organic agriculture production and handling. According to Steve Knauss, president of Greenspire Global, “Procidic2® works in sync with the plant through two modes of action: First it controls powdery mildew and gray mold on contact, and secondly it is absorbed systemically into the plant to control disease infection such as root rot,” says Knauss. Implementing a comprehensive IPM system requires making key changes in cultural, biological and chemical controls. In doing so, growers can successfully mitigate the risk of pest problems, thus reducing the need for potentially harmful pesticides.